Surprise, surprise, surprise. In ScottGu's exhaustive post yesterday on the road map for .NET web technologies, he revealed that the formerly versioned "Silverlight 1.1" update that we've all been waiting for will actually be released as Silverlight 2.0. This should come as little shock to anyone that has been following Silverlight's development up to this point; in fact, given the radical impact of adding .NET to Silverlight, it's a wonder this update was ever consider a "dot" update. My guess is that Silverlight 1.0 really should have been version .5, but they needed a "1.0" product to get out as early as possible to begin the plug-in adoption rate clock. But who am I to speculate. Beyond the "name" change (really it's a version change), we also received some more details about when we can expect from the next Silverlight update. The beta, which will drop in Q1 2008 (which probably means Mix08), will include controls like textboxes, checkboxes, tabs, and even a grid. It will also support cross domain data access to "trusted" sources on the web and sport more support for the WPF UI framework. And most importantly, it will ship with a Go Live license, allowing developers to finally begin building production sites with Silverlight 1.1 2.0. 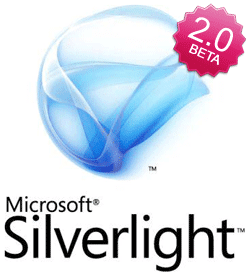 From this news, we can also publicly assume that the final version of Silverlight 2.0 won't be shipping until Summer 2008. Mix 08 will probably be where most of the new Silverlight 2.0 beta features get shown-off to the world amidst a flurry of new demo apps, and then mid-year we'll finally have a new, finished platform. That is to say, if you're planning on building Silverlight apps, you've still got some time before the platform is ready to go. Telerik will, of course, continue to work on the bleeding edge of the Silverlight platform. I'll be premiering our Silverlight 1.1 (remember 2.0 is not available yet) controls in about a week, and after that we'll start putting more information online. Stay tuned, stay patient, and keep telling us what want to do with Silverlight.